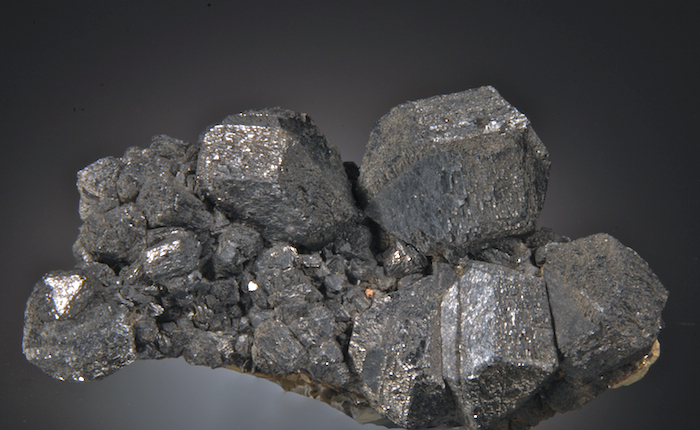 A fine and attractive example of this rare Lead, Silver, Antimony "black ugly" mineral! 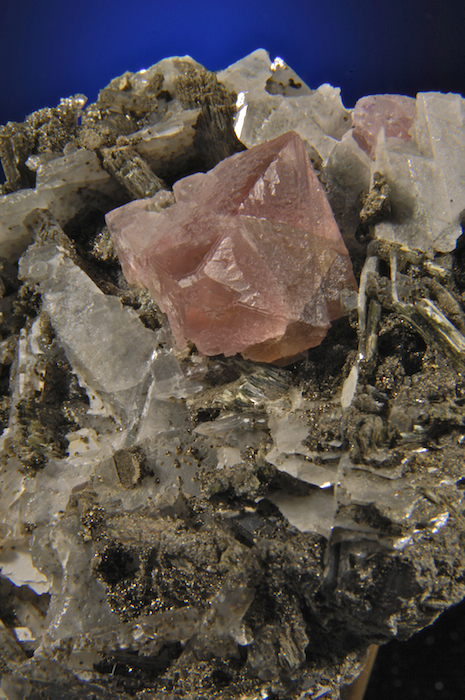 Until the 2004 find, Andorites were one of the rarer Sulfosalts and crystals were always quite tiny. This piece is from that discovery and a very good value for the size, condition and form. The metallic luster and steel to brassy hues are as good as these ever get. Ex Kosnar, there are now very few of this caliber to be found, lesser pieces are typically far more expensive! A very fine and very attractive specimen! Elbaites with vivid color and gem clear quality reach 5.5 CM in a jackstraw cluster. There is practically all tourmaline with no matrix, only a few areas of minor Cleavelandite. The better Paprok Elbaites have become highly respected for distinctive color and glassy faces. This specimen is top tier, it is a rich, sharp, colorful glassy and in outstanding condition. An exceptional, well formed Sphalerite from a long gone classic locality. Big, textbook clustered crystals reach 3.6 CM and show elegant twinning. This is far better than most "good" specimens from Tri state, it is admittedly more expensive but a very good value for the price. While this is a "black, ugly" mineral the overall esthetics and luster on this one makes this an remarkable and desirable addition for any collection. An important Chinese specimen and a rarity, this Hubnerite is from the one time small find at Yaoganxian in 1998. It seems these are also the largest Hubnerite crystals known from China, at 9.4 CM! Ferberite (the analog) is famous from Yaoganxian, it has produced some of the worlds best. However, verified Hubnerite is only known in a few specimens. 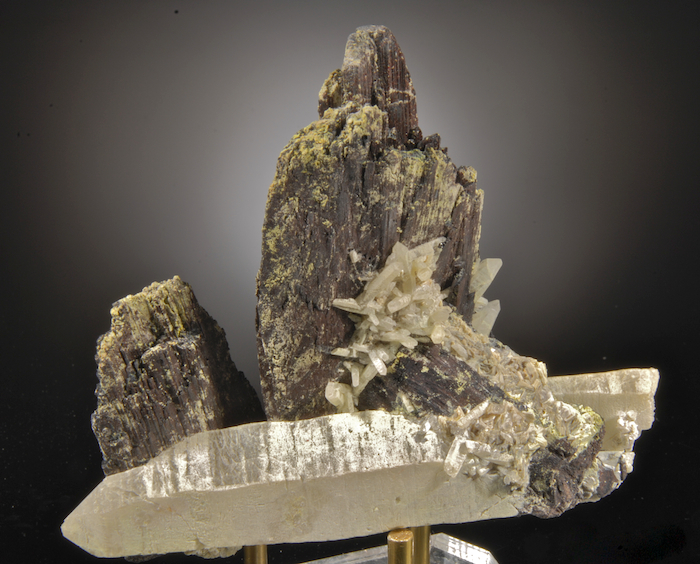 The crystals here are attractively perched on a long Quartz prism and this displays well from either side. The color is a lustrous black to a deep brownish-red. Strong lighting shows red translucence on thin edges of the crystals as is typical for Hubnerite. The crystals are complete, somewhat jagged showing parrellel growth with full terminations. A dusting of micro Helvites (not confirmed) add a color contrast. 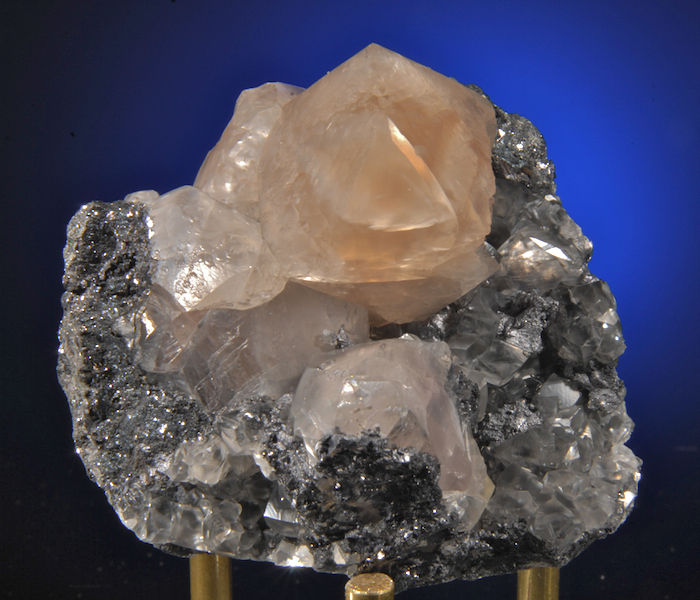 Remarkably this specimen has no noticable damage on the delicate Hubnerite crystals. For any comprehensive Chinese collection or a Yaoganxian suite, this is something really special! 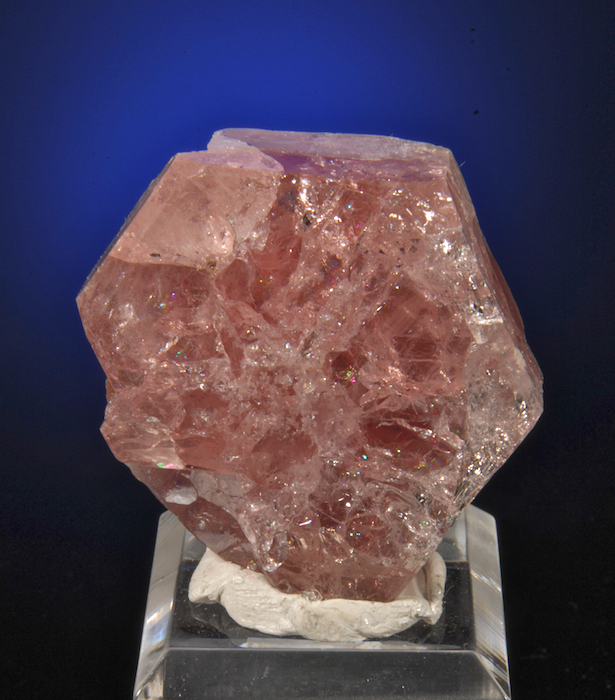 A big, glassy single crystal deep intense pink to lilac in color. What may look like broken edges in the photos are all INTERNAL veils seen through the transparent faces. There is a small chipped corner that is not easily noticed but keeps the price low for such a brilliant crystal. The backside/ base has contacting that is not visible on display. Excellent overall condition otherwise this looks like a $2500+ crystal! 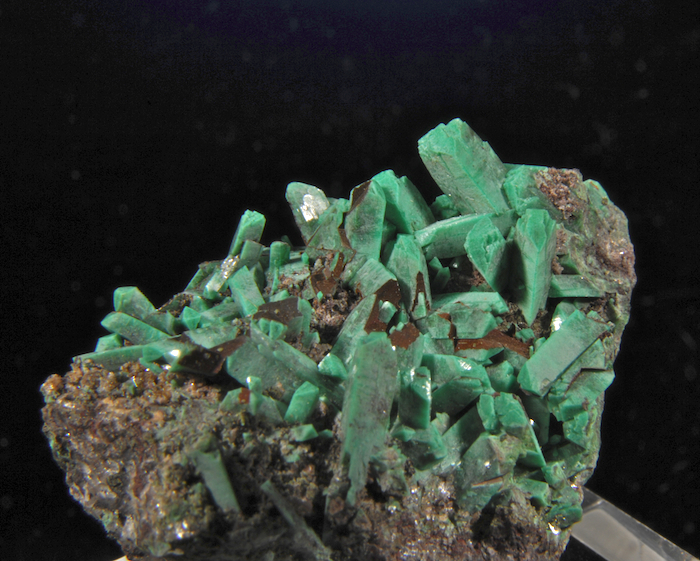 A Tsumeb classic, a Galena matrix hosts fine sharp Smithsonite crystals up to 3 CM in size. The color is between a salmon pink and a light cognac hue depending on the lighting used to view it. The largest crystal has a cleave on the right rear edge that keeps this very affordable. Fortunately it can be hidden completely by the angle of display and the specimen looks like it cost many times this price! Far above average quality! A fine, bright Tsumeb miniature that is well crystallized and host loads of associated micro crystals. A few of the Cuprian Adamites are in the process of psudomorphing and being replaced by unknown minerals. Great color, sharpness and in perfect condition. These Adamites reach over 1 CM and cover the specimen densely. 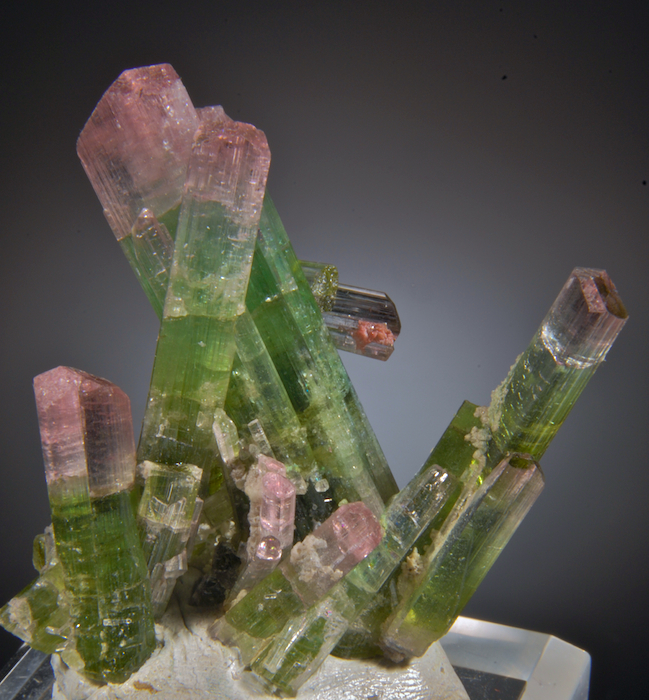 Fluorite (pink octahedral) on Quartz and Calcite with Diopside, Lollingite etc. The most exciting thing from recent finds in inner Mongolia is the rare Pink Fluorites with classic Alpine style that until now were only seen in Western Europe. The associates are similar to Alpine cleft minerals too, these have been quite uncommon so far and unfortunately often very expensive. This is a great example, the largest Fluorite is sharp, to 2.3 CM in size and perched on a contrasting mass of greenish quartz and associates. The Fluorites are in fine condition, a close look at the quartz crystals on the matrix finds some broken tips that are clearly not a distraction on this specimen. This is a tiny fraction of the price for an European example.